Of the 197 countries (officially recognized by the UN) with golf courses, the fastest growing market may well be Vietnam. Architects specializing in golf courses are having a field day!! 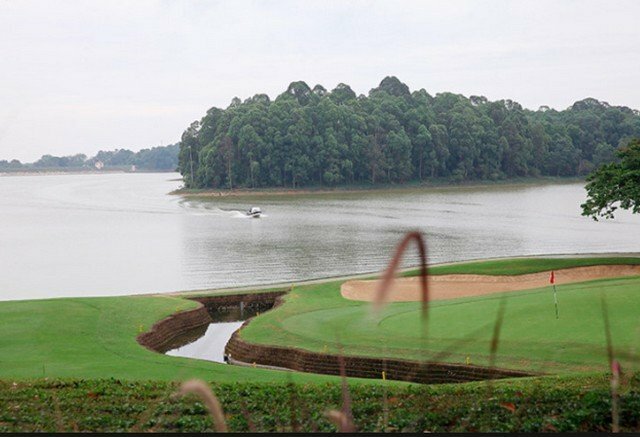 Vietnam currently has 78 golf courses and 43 others at different stages of development, according to the latest report from » Golf Around the World « . 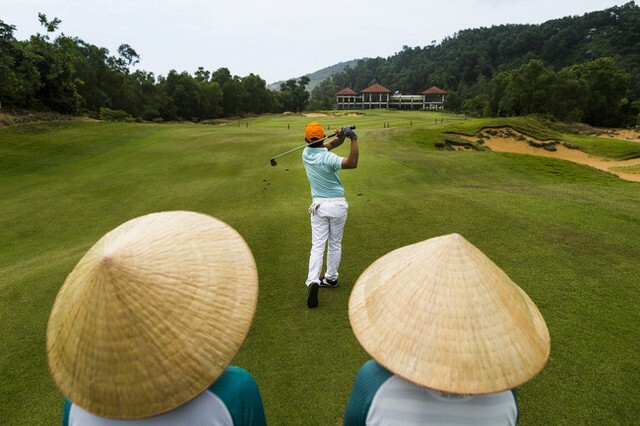 Much of Vietnam’s recent growth has focused on creating quality golf courses on first-class properties, often located in remote areas. 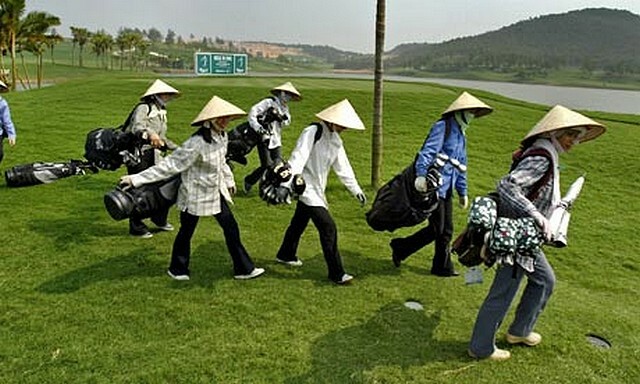 There is a high demand for golf among the people of Hanoi, the capital of Vietnam. The climate is more favourable than in the south for both grass and players. It should be noted that the routes are for some people very difficult. On the other hand, seaside resorts offer very beautiful golf courses and seem to satisfy tourists more. But this will change over time as more and more players develop and demand increases. It has been described as « the best golf course in Vietnam » by golf industry leaders in the Asia-Pacific region over the past 4 years. The course is signed Jack Nicklaus 2 (the great player’s son) and was inaugurated in February 2018. 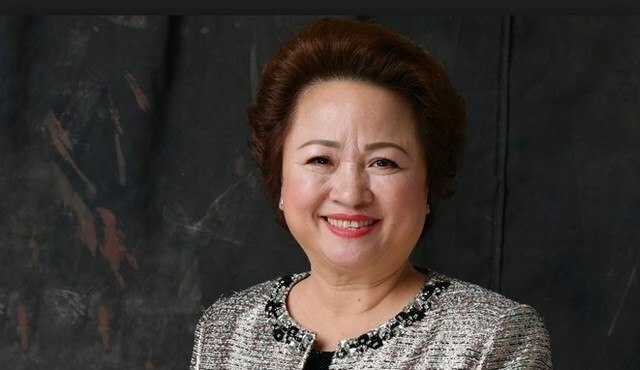 Mrs. Nguyen Thi Nga (photo opposite) is one of the pioneers in golf course investment and development in Vietnam, but she rarely talks about her successes in the country’s golf industry. When she does, her favourite story always begins with her recollection of the time she went to the Jack Nicklaus Museum in Ohio to sign the design contract for the » Legend Hill Golf Resort « . At the museum, she was proud to see the Vietnamese national flag stuck on the map of the world’s golf course. 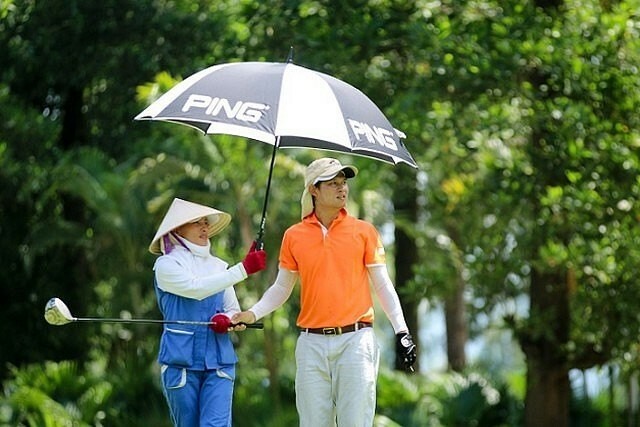 Inspired, she felt motivated to further contribute to the development of the golf industry in Vietnam. 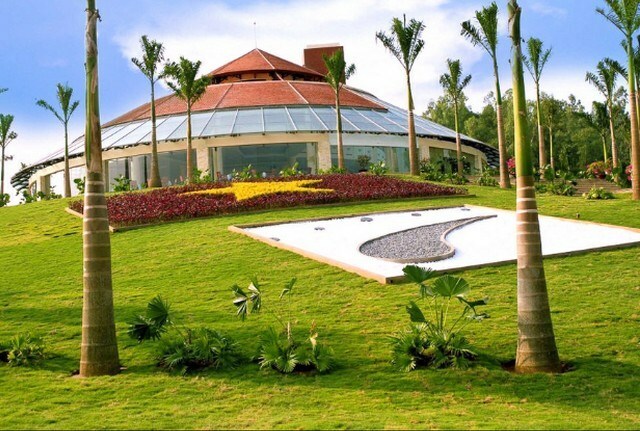 BRG Kings Island Golf Resort is a 54-hole golf complex located on the outskirts of Hanoi. It is located on the banks of the Dong Mo reservoir, 36 kilometres from Hanoi. Only 45 minutes drive from the capital, King’s Island is a high quality and convenient choice to include in any golf package in North Vietnam. Access to the route is by boat or car in the case of the Kings route. The island’s golf complex site includes 350 hectares of land and 1,500 hectares of waterfront. The mountains and the soothing views of the lake are appreciated by players. Large fairways with complex bunkers characterize each hole. More open than Lakeside and Mountainview, the Kings Course is the best choice for golfers. 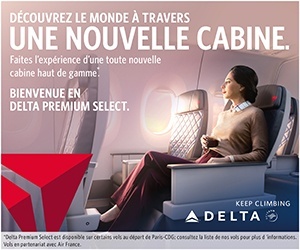 That said, the 6,680-metre layout is not a major asset for the most accomplished players. Precise shots are necessary in.